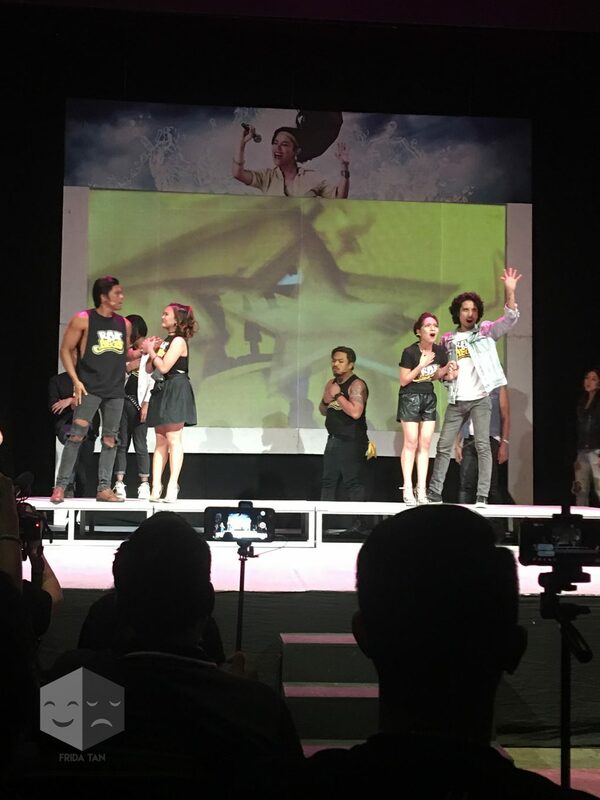 SNEAK PEEK: Rak of Aegis 2018 Cast Performs ‘Basang-Basa sa Ulan’, ‘Sinta’ and More! Rak of Aegis is back for its 6th and final run! 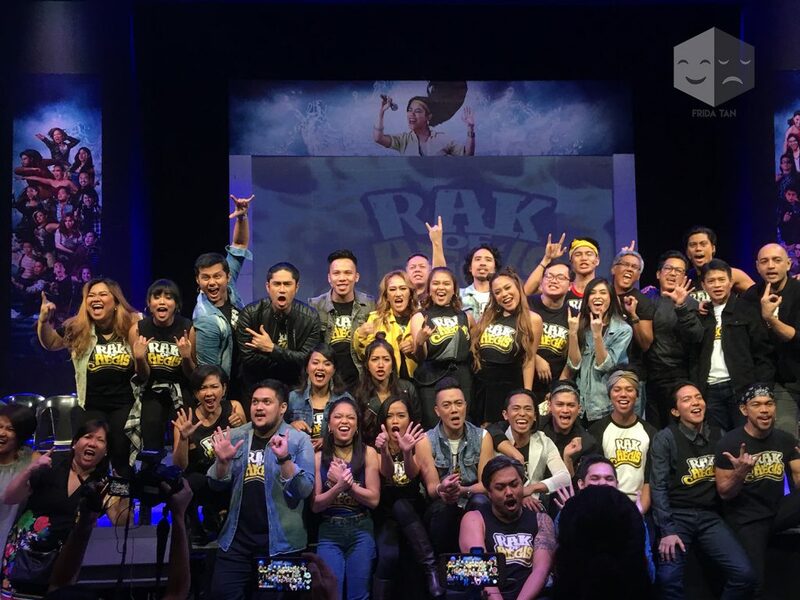 Now with a total of 5 runs and almost 300 shows under its belt, Rak of Aegis is returning with another 77 shows for its upcoming 3-month run. Some of today’s biggest stars broke out when they originated the leading roles in 2014– Aicelle Santos who played Aileen, as well as Jerald Napoles and Pepe Herrera who played love interest Tolits (now reprising their roles), to name a few. 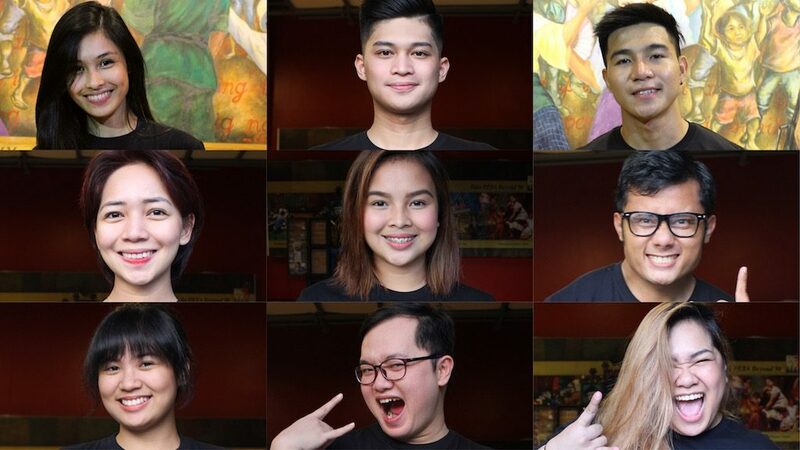 Now, a new batch of fresh faces are ready to make their mark on the theater scene. From almost a hundred applicants, PETA has found nine fresh faces who will join the cast– World Championship of Performing Arts (WCOPA) multi-medalists Shaira Opsimar and Princess Vire star as the newest Aileens, Tawag ng Tanghalan contender Kent Pontivedra as Tolits, theater artist and teacher Remus Villanueva as Kenny, and Ateneo Blue Repertory RENT’s Adrian Lindayag as Jewel. Joining the ensemble are 5thGen band leader Marielle Mamaclay, TV actor Gil “Chamyto” Aguedan, Sandbox Collective Himala’s Matel Patayon, and Madison Events performer Crystal Paras. Another new addition to the cast is theater veteran and renowned Palanca award-winning writer-director Rody Vera as Fernan. Cast members who will be reprising their roles are Kim Molina, Isay Alvarez-Seña, Sweet Plantado–Tiongson, Shiela Valderrama-Martinez, Carla Guevara–Laforteza, Robert Seña, OJ Mariano, Renz Verano, Lorenz Martinez, Jerald Napoles, Pepe Herrera, Joshua Bulot, Myke Salomon, Poppert Bernadas, Vince Lim, Neomi Gonzales, Kakai Bautista, Joann Co, Gie Onida, Juliene Mendoza, Ron Alfonso, Phi Palmos, Jimmy Marquez, Roi Calilong, Gimbey dela Cruz, Gio Gahol, Carlon Matobato, John Moran, Gab Pangilinan, Paeng Sudayan, Abi Sulit, Teetin Villanueva and Gold Villar-Lim. 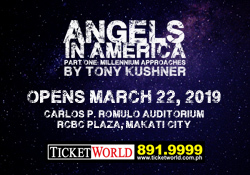 The artistic team includes Maribel Legarda (director), Liza Magtoto (playwright), Myke Salomon (musical director, arranger, vocal director), Gio Gahol (choregrapher), Mio Infante (set designer), Jonjon Villareal (lights designer), Carlo Villafuerte Pagunaling (costume designer), Maco Custodio (shoe designer), and Jo-ann Pamintuan (accessory designer). “Rak of Aegis” will run from June 20 to September 2 at the PETA Theater Center, with shows on Wednesdays to Fridays (8:00 PM) and Saturdays to Sundays (3:00 PM and 8:00 PM). 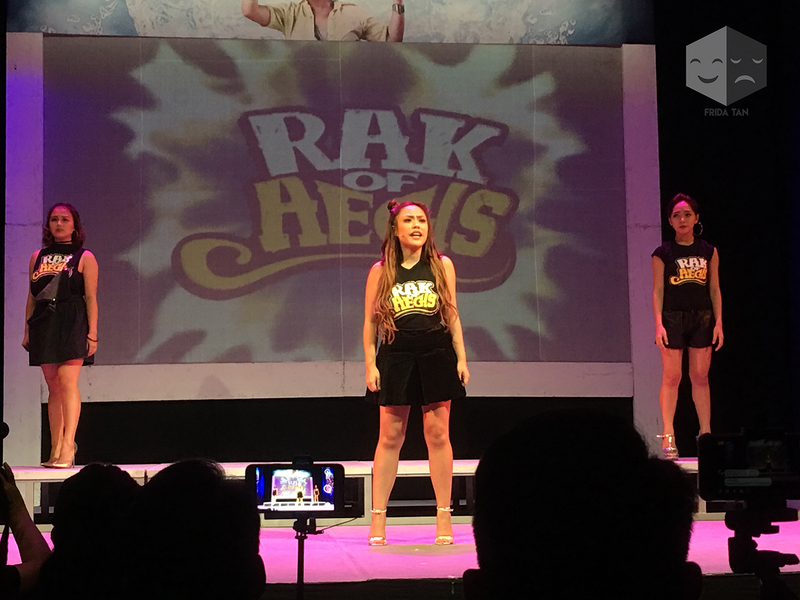 You can watch the old and new cast members perform excerpts of ‘Rockin’ in the Cities’, ‘I Love You na lang sa Tago’, ‘Sinta’, ‘Para kay Aileen’, ‘Basang-Basa sa Ulan’, ‘Luha’, and ‘Palad’ in the videos below. Next WATCH: ‘Ang Huling El Bimbo’ Cast Sings Title Song in Musical’s Official Music Video!